Welcome to our site!!! you can find here some music i like from different styles mainly new wave, synth-pop, italo,electro, disco 70's, lounge,nu-jazz... You can add comments as well as share your music. You can ask music too! Have a nice time in my blog !! one more great new wave site! YES!!! The third great synth-pop blog!!! 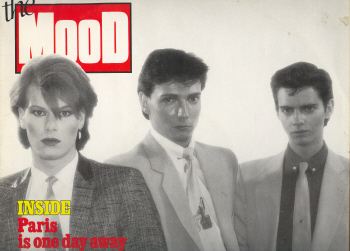 a cool blog for new wave and electro lovers!!!!!! a great blog with lot of info about music!! Pimpo's very nice blog with 70s-80's music!! Very nice blog of Anvilscepe with lot of Shoegaze, Dream Pop, Noise Pop, and Space Rock!! Check it for more music!! and here is Koop and his many nice musics from the '80s!! loot of nice mixes & style (from lounge to electro,synth-pop '80s)Great blog! 3) I have only 25 MB here to post pictures and/or mp3 .So i dont have more free place with these 3 posts. Because of these troubles ive just created a third blog . "Generally, I don't like compilations because you always get the same well-known tracks. 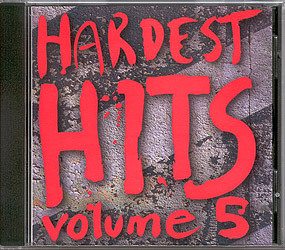 But this "Hardest Hits" sery is excellent and the vol. 5 is , in my opinion, the best one. I didn't know most of the tracks and I actually like them all very much now. Great if you are a 80's music fanatic & want to hear something new from radio playlists." 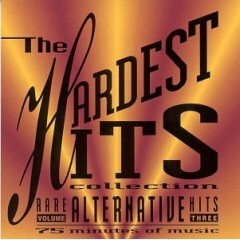 "This is an awesome collection, featuring very hard to find singles by The Big Supreme (Don't Walk) and Cetu Javu (Situations) and The Normal (Warm Leatherette). A bonus is Gary Numan's "Change Your Mind" (an extended remix!)" "If you want a cd that has rare songs on it, buy this one. 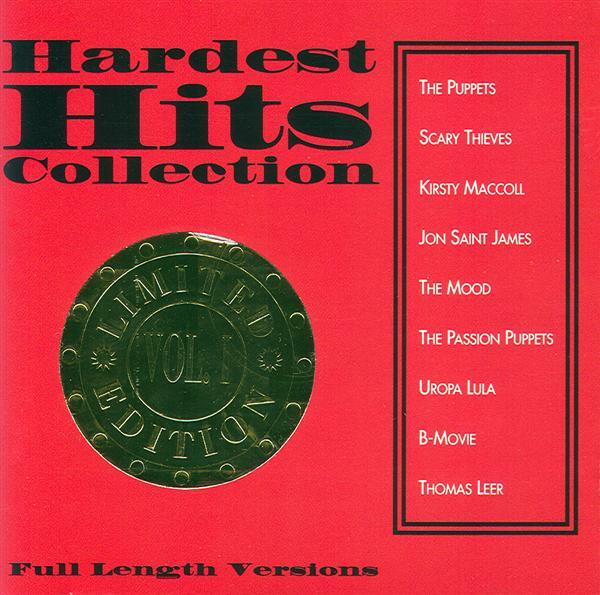 There are songs on this cd that you will think you are hearing for the first time but, you will hear a song and say or think "wow, I've heard this before and I love this song". The tracks I like on the cd are; track #4, You Move Me (One Good Reason) by The Comsat Angels, track #9, Dance With Me (Extended Version) by Lords of the New Church, track #13, New York (Dance Floor Cut) by Micro Chip League, and track #14, Transdance by Night Moves. All of these songs are pretty much extended versions, and are all from the 80's. I also purchased Volumes 4 and 5 but do not have Volume 2 (limited availability), Volume 1 for some reason is not produced anymore, would love to have volumes 1 and 2 (Oh well, tomorrow's another day). The prices are very nice for this collection so go ahead and splurge and buy the three volumes that are available, you also might want to think about buying a similar collection called 'Classic Alternatives', containing more hard to find and rare alternative (and extended dance/alternative) songs. Happy Listening." "Finding this CD a few years ago was like finding a long lost friend. (Yes, I have lots of friends, but some are closer than others)... I played this entire cd in the car- (after buying it, and played Vicious Pink TWICE)- I closed my eyes- and suddenly I could see the red head in leopard-skin tights dancing in front of me. I was home, and didn't want to leave.... Songs like 88 lines about 44 women, Life in Tokyo, Everywhere I Go- aren't just music recordings, but (to many of us)- part of where we've been, and who we are. I used to laugh at the way my parents would stare off into space when certain songs came on the radio- now I find myself doing the same thing, (particularly when I'm playing this cd). The recordings on this disc are perfect, and many are extended 12" versions YOU WILL NOT FIND elsewhere. If you're trying (like many of us your age)to buy all of these rare dance cuts, do yourself a favor and buy this disc-..., before long these songs will be pushed out of the market by awful, unimaginative, pop/marketing swill, and you'll wish you had bought this disc when you could have..Trust Me..."
"Worth three or four times the price for "Take Me Now" alone. The rest is just icing. And tasty icing at that." "This compilation will astonish you. The downside with this CD is that once you get a taste of bands like The Lotus Eaters, you will want more. And there your troubles will begin. Much of this music is long out-of-print. And don't bother making inquiries at your local used record store, their ignorance will drain you. Instead, spend your hours surfing for used vinyl sites. And find constructive outlets for your frustration. "This CD series is super. If you really want to understand New Wave or simply love it, you can't get much better than this series or the Classic Alternatives Series offered by SPG. So if you're like me, a New Romantic who cannot accept the past as dead, you'll cherish all of these tunes. Max Headroom couldn't be happier." My affection for all of this music runs deep, but probably principally for personal reasons evoked by Boys Brigade (local heroes) in Melody: "There was a time, and there was a place, and there are memories. And there was a girl, such a beautiful girl. ..."
The music's good too, of course. Go ahead, buy it. At this price, how can you go wrong?" A great collection of '80s Alternative music rolled up into a nice package. 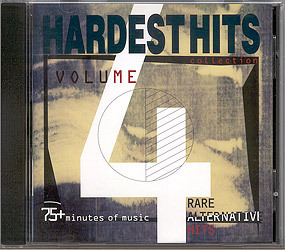 This collection compiles the previously released volumes 4, 5 and 6 of the Canadian label SPG's titles "Hardest Hits" and adds a bonus fourth disc to give the package an industrial/metal edge (something tells me that SPG had a few extra copies of "Moshpit Madness" lying around the warehouse). Though the mastering isn't the greatest, the track selection alone makes this an essential addition to your collection. As of this writing, this is the only place you can find Micrrochip League's seminal dance floor staple New York as well as tracks from The Comsat Angels, Freur, Peter Godwin, Secession, SSQ, The Hawaiing Pups, Vicious Pink and more! Odd name for this SPG series, but I assume they mean Hardest to find on CD hits...almost entirely made up of 12" versions this is a series that will help you get rid of a load of 12" singles-and introduce you to some new wave tracks you may have missed out on back in the 80s. The label is the Toronto-based SPG Music Ltd., which is known for its compilation releases. Eric James (no relation as their real names were Mark James Fordyce and Eric James Logan). 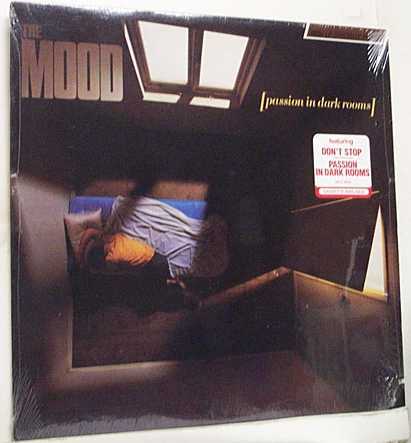 They released a single on a local small independent label "Is There A Reason". 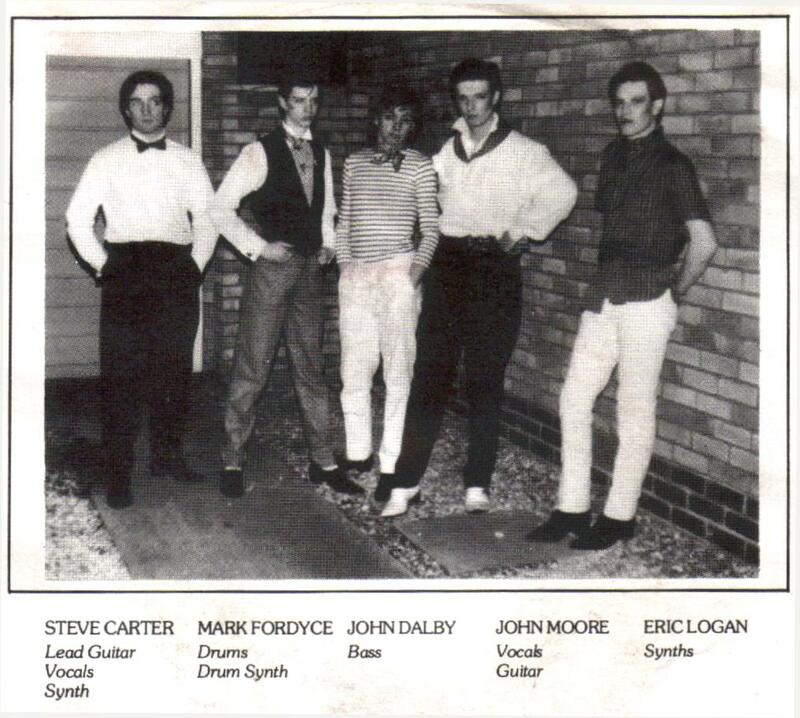 At that time in 1981 they were a five-piece band, and with Moore and the two James were Steve Carter and John Dalby. 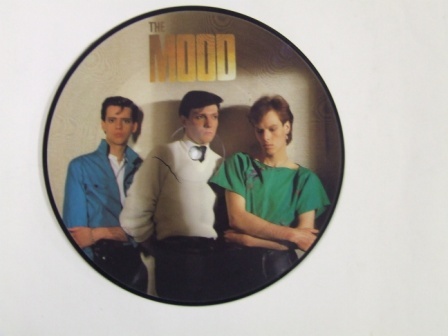 After the band reshuffle the three remaining members of The Mood signed to RCA in 1982 and released a new re-produced mix of "Is There A Reason". Then came "Don't Stop", still a bit of a cult classic in music circles (top 10 Hit on the Billboard Charts in the US). None of them reached the UK top 40 charts, but the follow up "Paris is One Day Away" almost did. It landed at number 42 on the UK charts and stopped there. Two places higher would have got them a definite slot on Top Of The Pops, but it was not to be. However they did appear on the popular kids show RAZAMATAZ singing "Paris Is One Day Away". Dr. 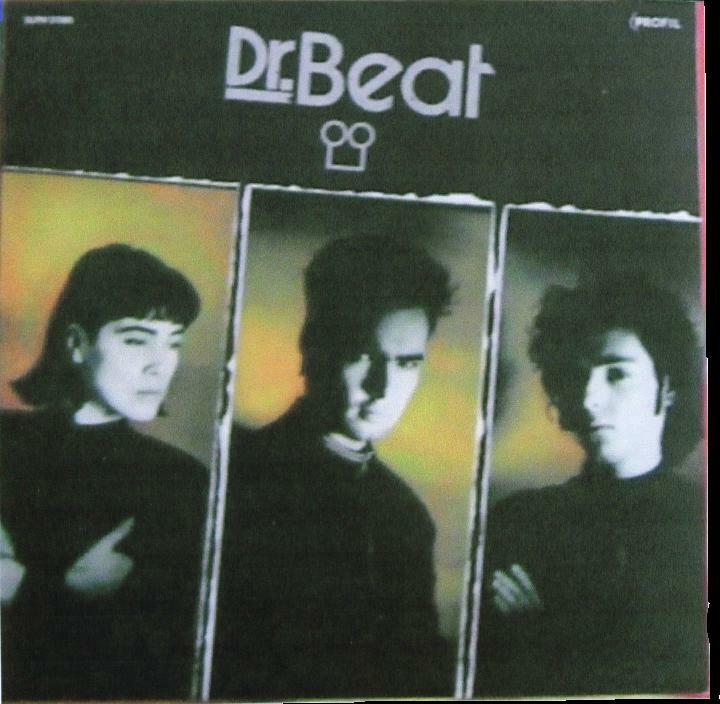 Beat is a Hungarian techno-wave band from Budapest founded by three classmate from a high school in 1986.Their first name was T-Boy. The original line-up was Selmeci Kristóf /Garam Péter/Szilágyi “SZIKO” Gábor.Clavier Charlotte has joined from R-Go in 1988.Soon Selmeci left the band because of conceptional reasons. With their first single (Valami bizarr dolog released in 1987) the band soon went on succes. Through modern scoring and rhythmic solutions,also the lyrics are about disappointments and hopelesness became the band popular. This popularity had increased more with their album released in 1990.There were four top one hit from it. Their label had put it on the market in very limited form for no obvious reason. Despite the frequent concerts their music remains for not a wide public, so the band stopped to continue. In the meantime Szilágyi Gábor became a famous photographer (POP-Rock and fashion),and Garam Péter went to LA,USA with Clavier (soon left the band) for 10 years,where he proved to be a producer/engineer with several international albums ,furthermore composed some electronic music too (e.g Future Sound Of Budapest vol 2. with a song called "Waterfront" playing again together with Szilágyi in it). Garam came back to Hungary in 1993 to popularize the Drum 'n' Bass style as well as being a producer for some underground releases. 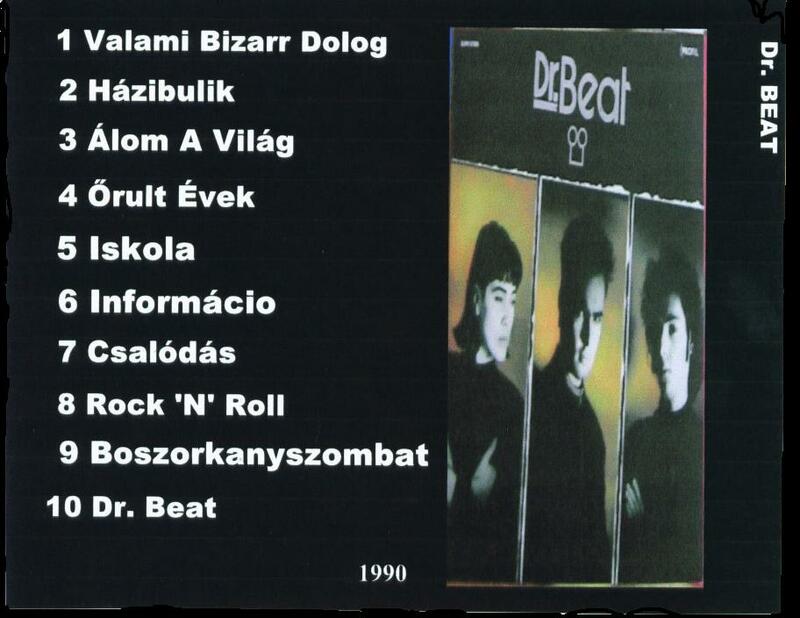 Dr Beat was one of the most exciting band in the early 90's and remained a unique musical wonder till the present in the Hungarian techno pop history. After many years being in silence,they are planning to release a new album this year with Szilágyi.